In this July 14, 2017, file photo, customers use ATMs at a Wells Fargo Bank branch office in San Francisco, California. Wells Fargo announced a board shakeup Tuesday, including the coming retirement of three directors, in a restructuring effort following the bank's consumer sales scandal, CNBC reported. Elizabeth "Betsy" Duke will take Stephen Sanger's position as independent chair effective Jan. 1, 2018, according to the bank's announcement. Board members Cynthia H. Milligan and Susan G. Swenson will also leave the board after over a decade in order to “facilitate Board refreshment and provide for an appropriate transition of committee membership," the bank said in a statement. 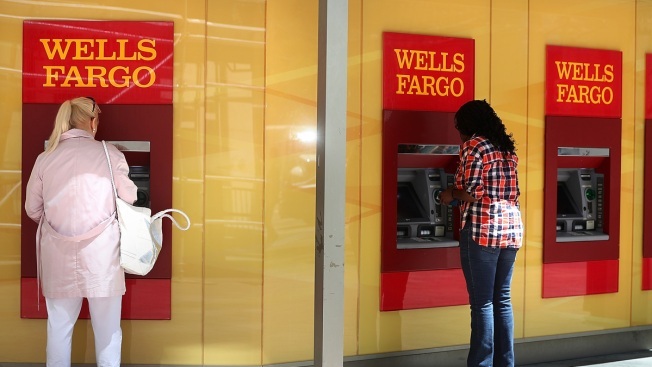 In 2016, Wells Fargo paid $185 million in penalties following the revelation that since 2011, workers trying to meet aggressive sales goals had opened about 2 million consumer deposit and credit card accounts without customers' authorization. The bank has since abandoned those sales goals.